Blockbench - A free, modern block model editor! Welcome. I want to introduce you to Blockbench, my latest tool. It allows you to create block models faster and easier than any other free tool. And it comes with a constantly growing set of featues, including display settings with preview, plugins and the ability to edit as many things as you want at once. Wow. This is definitely the best free minecraft modeling software out there. I wish I had found this sooner- I spent about an hour editing and reloading a model trying to get the display right. Whereas, now I can do an half an hour's work in five minutes. Love this. Ahmm.. Hello i knew this is thread that year ago. But can i ask a favor? Can you please make that Application that Compatible to Windows 7 32bit? Because when i always run the installer/setup. It's always say : Windows 7 64bit Required !!.. Please? I Think this application is very amazing !! Thanks. There is now a 32 bit version of Blockbench. This looks like a really amazing tool ! The only thing I could suggest is making the relative auto size update automatically when you activate it. Other than that, it's definitely going to be a HUGE upgrade from my current model creator, and I was hoping I had found out about this earlier. Honestly, I'd add futures, but the hotkeys, getting around the interface, it was kind of really easy to pick up. Its extremely user friendly. I was just playing in your browser version for all of 15 minutes. I made an Arcade. Not sure if it's good or not. I Am used to more vertices. 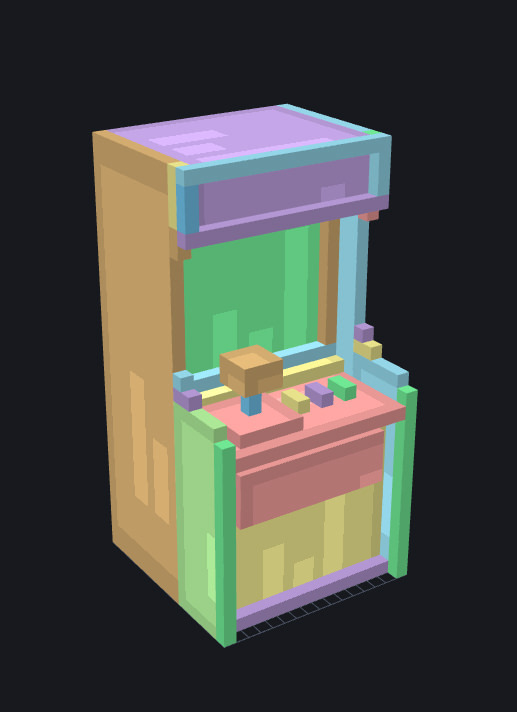 I think it looks like an arcade though. The only issue I have is the same issue I have with most of the voxel editors, Is complicated UV control. I'll Bookmark it though and post here some stuff I make, And I'll play with it more. Really quick, very streamlined. For an artist like me to just jump in and play, 10 points to you Jannis. keep up the great work, I look forward to the additions you add. That's a nice model of an arcade machine Hyena. Edit: Blockbench isn't a voxel editor. Nice. 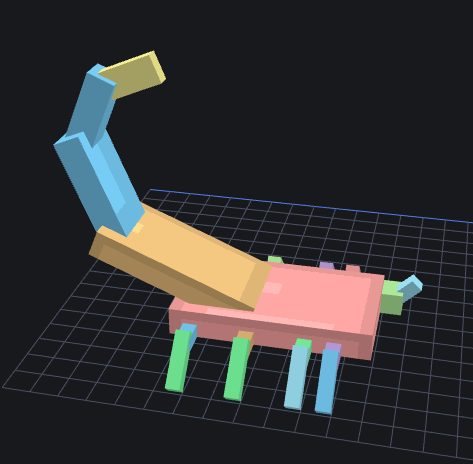 I'm working on a scorpion model. It's a work in progress. Who are you? Why are you reading my signature? This is an invasion of privacy! What? Signatures are meant to be read? What's the point of them, then? To interest people? Why? What do I care if this is interesting? It's not fun. Fine, then. You just can't read my signature. Hi there, i was wondering, besides creating blocks, can you use this for Mob/NPC modeling and for armor? or only static blocks?